Mike has Alex Luyckx of the Classic Camera Revival Podcast on the show as well as co-co-captain Dustin Cogsdell! We talk about the origins of the Classic Camera Revival Podcast and our film shooting on Film Photography Day on April 12th. Next, Alex answers questions from the Negative Positives Facebook group. Questions include topics about how Alex got involved with the FPP, his Photo Chat, tips for shooting in cold weather, what makes a camera "classic", selfies, film emulsions, developers, printing photos, what camera he didn't get along with and what camera to get someone addicted to film photography, medium format lenses, the film podcast community, his favorite photo he has taken, his thoughts on APS, and camera choice for the zombie apocalypse! Finally, we talk about 1990's SLR cameras and the overhyped compact camera market, and Dustin's new podcast called the "Grainy Dayz" Podcast! A Mike solo show for a missing Andre! He talks about Film Photography Day, Polaroid Week, and Worldwide Pinhole Day. Some new podcasts he has found and has a call in from Graham Young about the "Get Started With Film Photography" Podcast. Next, is a Call in Camera Review from Bill Smith of the Classic Camera Revival Podcast about the Mamiya C220f. Finally, talk of social media and a reminder about the Negative Positives Double Exposure Tag Team Challenge! Mike and Andre welcome on Kevin and Kelley Lane, the Shutter Brothers, of the Uncle Jonesy's Cameras Podcast! We talk about their return to film photography and why the started their podcast, slide shows, the opening of the Safe Light Labs community darkroom in San Diego, the Canon T70 and Pentax Spotmatic, flea markets, Savannah, Georgia, Daniel Novak's "Chasing Waterfalls" zine, Amazon magically finding 20 Holga WPC120 wide pinhole cameras, and Mike's metal art show. Next we answer questions from the Negative Positives Facebook Group to Kevin and Kelley. They include Kevin's school camera club, film photography's cost per frame, sibling enabling and rivalry, and the connection of photography, music, and watches. Finally, we discuss embracing your local film community, Ted Smith's website www.thefilmphotographersmap.com, and some musician talk! Mike is joined by Simon Forster from the Classic Lenses Podcast and the Large Format Photography Podcast! A simple Google Hangouts chat somehow becomes a podcast! We discuss the evolution of the Classic Lenses Podcast, Simon's journey back to film, Mike asks for digital camera (gasp!) advice, and digital vs. film for night shooting. Then, we bring it back to the joys of shooting film and how the process is a huge part of the fun, and the film photography community and trying to get involved in your local area. Finally, we talk about the Large Format Photography Podcast and appropriately talk about our weeks last to keep with the theme of this backwards episode! A bonus Mike solo show due to some marathon podcasting this last weekend! An update on signing up for the Negative Positives Double Exposure Tag Team Challenge on the Negative Positives Facebook group or on Shaun Nelson's website www.utahfilmphotography.com! The film podcast community April Fool's gag and Ted Smith's website, www.thefilmphotographersmap.com to help find film shooters in your area. Next up are emails from George Larkins (IG geovisioniii) about his return to film and Ian Fleming (IG ifleming) about the 126 Revival and thanks to Jeff St. Onge for gifting Mike two Kodak 126 Instamatic X-15 cameras! Then, we have a call in camera review from Mac MacDonald (IG and YouTube macshootsfilm) for the Nikon FE2. Finally, talk about Anchor being bought by Spotify and some podcast analytics! Mike and Andre are super excited to be joined by Mike Raso from the Film Photography Podcast (www.filmphotographyproject.com)!!! I could type in a huge amount of show notes but does anyone actually read these things! Besides, it is Mike Raso! Just listen to it! Mike answers questions culled from the Negative Positives Facebook group about all things FPP and film photography! Andre delivers a solo show reviewing Android Version 1.0 of the Film Lab App, Dustin Cogsdell sends in a call-in camera review of the Minolta XD-11, and a reminder about the Negative Positives Podcast Double Exposure Tag Team Challenge! Mike and Andre are joined by Shaun Nelson (www.utahfilmphotography.com)! We talk about Shaun's website, cats vs. dogs, Shaun develops color film for the first time with the Cinestill C41 kit and preserves old family photos. Mike talks about lab prints vs. inkjet prints, receiving stainless steel developing reels and a tank from Cory Miller, building a PVC cage to turn a dark bag into a dark tent, and shooting his Leica R8 for the first time. 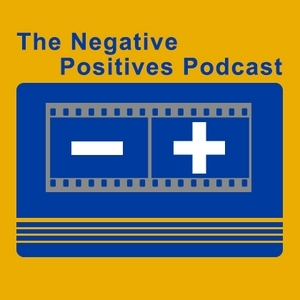 Next, we announce the second annual Negative Positives Double Exposure Tag Team Challenge and Mike and Andre challenge other film podcasters to compete! Finally, we talk about tips for shooting double exposures! A Mike solo show! A new show intro from Mike Williams (IG mike_on_film)! Gutterman talks about a solution for sticky, jamming plastic film developing reels and possibly moving to stainless steel reels with an email about the subject from Mike Kukavica (www.kukavica.com). We get a strange call in from a hit man and Dylan O'Connor (IG dophotoenterprises) about the first Negative Positives Double Exposure Tag Team Challenge. Thanks to Mike Padua (www.shootfilmco.com) for the prizes to Dylan and Alex Purcell for winning that challenge. Also, call ins from Juan Ruben of the A1 Rediscovering Film Podcast about the Johnny Sisson episodes. Next up, a call in camera review from Dave Mihaly (youtube, IG, Flickr - theoldcameraguy) about the Olympus 35EC. Finally, a movie review of Aquaman and how the star, Jason Momoa, is a huge Leica fan! Mike and Andre are joined by Neil Piper from the Soot and Whitewash Podcast! We discuss him pursuing a master of arts degree in photography and why he started his podcast. Andre talks of his experiments with the Android version of Abe Fettig's Film Lab App, and also shooting with his Minolta Riva panoramic camera. Neil talks about contact printing with cyanotypes and his visit to the Photography Show for an analog meetup in the UK. Mike talks of shooting a Pentax point and shoot using flash in bulb mode, gets APS film and vintage Ektachrome from Lori Brooks, selling prints to Melissa Meader, and becomes the professor of rock and roll shows. Next, we ask Neil questions from the Negative Positives Podcast Facebook group. Finally, we discuss pinhole photography with kids, making time for photography with busy lives, digital negatives, and whether the UK has a more close knit film photography community! Mike and Andre bring you part two with Johnny Sisson of the Classic Lenses Podcast and employee of Central Camera in Chicago. We continue with questions from the Negative Positives Facebook Group! Topics include lens nerdism, about how lens sharpness is less important to film shooters, adapting lenses, instant film, how 80's-90's electronic cameras are hard to sell, problems with selling cameras, and the dilemma of documenting the end of someone's life. Finally, we talk about the best areas to shoot in Chicago, the best pizza in Chicago, and the debate of The Blues Brothers vs. Ferris Bueller's Day Off as the quintessential Chicago movie! Mike and Andre are joined by Johnny Sisson from the Classic Lenses Podcast and employee of Central Camera in Chicago! We discuss age demographics of film and digital shooters, Johnny discusses 4x5 pack film holders and converting them to panoramic format and cheap Xpan alternatives, a large format craze happening?, and Mike has problems loading film on plastic developing reels for the first time in a long time. Next, we have Johnny answer questions from the Negative Positives Podcast Facebook Group that leads us down so many rabbit holes that we had to make two episodes out of it! Zzzzzzzzz… huh? …what? … (yawn). Andre decides to join us again with a solo show, where he talks about packing for the Film Photography Paideia, being present vs. documenting an important event, and the Leica M6's last hurrah. Finally, Ian Fleming joins in for a call-in camera review of the Olympus XA2! Mike and Andre are joined by Em from www.emulsive.org! Announcements from Neil Piper from the Soot and Whitewash Podcast and Andrew Bartram from the Lensless Podcast about their World Wide Pinhole Day (WWPD) meet up in Boston, UK and Andrew and Simon Forster (from the Classic Lenses Podcast) are starting a new podcast called the Large Format Photography Podcast! We talk about our weeks including Em shooting 120 Neopan 100, Mike's mother lode of APS gear from Johnny Sisson (also of the Classic Lenses Podcast and works at Central Camera in Chicago) including the Minolta Vectis S-100 and Kodak Advantix Preview cameras, and the Buttergrip from Ethan Moses for the Pentax 67 and his Cameradactyl OG 4x5 camera. Also, a gift from Jakob Eriksson of a quiet space heater to keep Mike warm in the Gutter Man Cave while recording! Our next segment is apparently a real snooze fest with discussion of the recently announced Fujifilm price hikes. Finally, we talk about Andre's experience at the WPPI in Las Vegas and the Film Paideia in San Clemente, CA! A Mike solo show for the midweek episode. Shout outs to Yvonne Raven and Adrian Doyle for film love gifts sent to the Gutterman Estate! Additional shout outs to Matt Jones for a drawing of Andre and Mike, and to Mike Padua of www.shootfilmco.com for donating prize packages to the winners of the first Negative Positives Double Exposure Tag Team Challenge! Next up is info on Ben Mills International Film Stock Swap now at www.hipshootfilm.com, and stickers sent from Shaun Nelson (of www.utahfilmphotography.com) featuring art work by listener Judy Boyle! Also, an email from Kevin Dillon about Ultrafine Extreme film. Then, we have a call in from John Gregory of the "A Light in the Dark" podcast and a call in camera review from Juan Alatorre about a converted Polaroid 110A to use 4x5 film. Finally, Mike talks about how he goofed developing a roll of film and the fun of taking some compact camera indoor flash photos! Mike and Andre are joined by Nick Bull (nick_e_bull on IG)! We discuss Nick's love of camera repairs and the problems of sourcing parts, half frame cameras, and the struggle of selling cameras. Also, we take questions from the Facebook group addressed to Nick including topics about making photo gadgets, dream cameras, Cameradactyl OG, Buttergrips for the Pentax 67, photo projects to come to terms with life events, Mike's mother lode of APS goodness coming from Johnny Sisson at Central Camera in Chicago and one of the hosts of the Classic Lenses Podcast, Ilford vs. Kodak, Caffenol, stand developing, dream film road trips, Kodak 5222 Double X, and DSLR purchases! Finally, an email from Ken Bertram about Kodak HC-110, and Mike gives in and lets the two nerds talk about watches with Mike trying to bring the show back to film photography! Andre joins us mid-week with a solo show where he discusses a few key recommendations when it comes to a film photographer's EDC (Everyday Carry). From keeping the camera with you at all times and OUT of the bag to packing some prints to show your subjects or the occasional disgruntled security guard/shop owner, these tips should help you stay positive and shoot some cool film photos! Finally, Jason Konopinski drops in for a call-in camera review of the Petri Color 35. A Mike solo show! He has an email from Arnab Chatterjee and a call in from Mike Williams (IG mike_on_film) about his APS camera prize! Also, a call in camera review from Jim Mackenzie about the Nikon F4. Finally, a shout out to Nigel Cliff, a segment from Matt Murray's "Matt Loves Cameras" Podcast where Matt imitates the Gutterman, and talk about the correlation between analog and digital in the photography gear world vs. the music gear world! Mike and Andre are joined by Matt Jones! We talk about our weeks, including Mike becoming a Leica snob due to an unbelievable gift from a listener of a Leica R8 camera. Also, Matt answers questions from members of the facebook group. Finally, we have a call in from Mike Williams that kicks off conversation about what our 2019 New Year's film resolutions are going to be! A midweek solo show from Andre Domingues. He starts off with talking about how keeping your negatives close to you helps with finding hidden gems ready for printing, hands it off to Ben Mills for a Call In Camera Review of the Minolta HiMatic 5, then returns to announce (gasp!) that he's selling his Leicas (and why). Last but not least, some cultural recommendations for the Leica and watch enthusiasts out there. Mike and Andre are joined by Em from Emulsive.org! Discussion includes news about Tetenal and Kodak Alaris. Also, we take a look back at the positive events of the film photography industry in 2018, which obviously includes Em's Podcast "The Hypersensitive Photographers Podcast"! Finally, we forecast the future of film in 2019 and what we'd like to see happen. A Mike solo show for the midweek episode. He reads emails from listeners about the 200th episode giveaway. Also, talk of the power of still photography and it's ability to move or influence the viewer. Finally, discussion about not beating ourselves up over creative outlets! Finally! The Negative Positives Podcast Episode 200 giveaway Prize-a-thon Prize-a-palooza Love Fest! Over 30 prizes given away to listeners of the show! Surprise! Everyone's favorite co-host of the HMS Negative Positives (shouldn't that be USS? -Mike edit, Andre wrote these show notes!) returns to the bridge and steers it towards the big 200th episode giveaway extravaganza. Reunited with the sunshine, skateboards, and selfies of Los Angeles, he gives a much needed update on the causes of our infamous recording delay. From hunting for apartments that make good DIY darkrooms and street photography with the Nikonos V to meeting film shooters at watch events and planning photo walks with fellow LA-based podcasters, the excuses are endless! Finally, another installment of Dustin Cogdell's On The Road Camera Reviews about the Canon QL17 G3! The prequel to the 200th episode Prize-a-palooza prize-a-thon giveaway! Mike has an email from Cole Jackson and a call in from Kevin Lane (of the Uncle Jonesy's Cameras Podcast) about taking photos of other people's art that was discussed in episode 199. Also, more emails from listeners about episode 200. Finally, a call in camera review from Federico Quaglino about the Olympus ACE-E! The midweek episode with Mike! Discussion about how clutter can clutter up your life with an emphasis on photography gear clutter! Also, the dilemma of taking photos of other people's art work. Finally, another installment of Dustin Cogsdell's On the Road Camera Reviews for the Voigtlander Bessa R2A. A Mike solo Sunday show! Mike shoots a Sears KS-2 on expired Tmax P3200 and receives awesome prints from Bill Lehman and Andrew Criswell. He reads more emails for the 200th episode prize-a-thon prize-a-palooza giveaway. Also, a call in camera review from Dave Mihaly about the Minolta AF-C. Finally, he talks about the importance of photo albums, how far behind he is on his family albums, and his frustration on the how and why he go so behind! An Andre solo show! He talks about his New Year, New Me and finally adds some photos to his Instagram account as well as discusses his plans for social media in general! Also, he mentions a new podcast called "The Hypersensitive Photographers Podcast" by Em from Emulsive.org and Hamish Gill of 35mmc.com! Finally, a call in camera review about the Olympus OM10 from Ted Smith! Mike and Andre talk about their holiday adventures, our Emulsive Secret Santa gifts, and the gifts we gave each other. Also, more emails from listeners about the 200th episode prize-a-thon! Finally, we reflect on the year of 2018 concerning our photography and the podcast in general! The midweek episode with Mike! He reads emails from listeners about the 200th episode giveaway prize-a-thon, and also has call ins from Stephen Rea and FWphotolab.com. Finally, an On the Road Camera Review from Dustin Cogsdell about the Olympus XA! Mike and Andre are joined by Sherry Christensen of https://rr1photography.com on the Christmas Eve Eve podcast! We discuss film photography podcast listening, redscaling consumer color film, shooting these films in general, and film developing screw ups. Also, we answer questions from the Facebook group addressed to Sherry. Finally, a couple of call ins from Federico Quaglino including a question about storing film in freezers. A solo show with Andre! He returns to Miami to be with his family for the holidays. He talks about the film stocks and cameras he plans to shoot over his break. Also, a call in camera review from Sherry Christensen about the Canon Rebel G with the 40mm pancake lens! An old school Mike and Andre show! We try recording entirely through the Skype software after more audio difficulties. Andre finishes his college career and prepares to leave for Miami, we receive Christmas cards from Sherry Christensen and Bill Smith. Also, emails from listeners about the episode 200 Mega Prize-a-thon Sweepstakes! We addressed questions about fulfilling your commitments to print swaps and film community events and our biggest flaws as photographers! A Mike midweek solo show! Talk about the 200th episode giveaway, thoughts on the Negative Positives Double Exposure Tag Team Challenge including emails from Shaun Nelson and Ian Fleming. Also, a call in camera review from Neil Piper about the Pentax Efina APS camera, and a possible repeat email from Stephen Rea about choosing film formats! Finally, an Ebay purchase of Kodak 2475 Recording film that randomly turns out to be from a listener of the show, Alan Cole! It is a Christmas miracle! Mike finally has Graeme of the Sunny 16 Podcast on to judge the Negative Positives Double Exposure Tag Team Challenge! Who won? Andre talks 6x9 vs. 4x5, explains why he sold his Fujifilm GW690II, and Leo Nikishin brings us a call in camera review of the Bronica ETRC! Mike and Andre are joined by Em from www.emulsive.org! We talk about the Nikon F2, the Nikon L35AF point and shoot, the Emulsive Secret Santa, a major redesign of the Emulsive website, taking fog photos, and Kevin Spaghetti's zine "Summer '17 - Winter '18 Portraits" (@kevin_spaghetti on IG). Also, we talk about expired film and the often repeated advice of adding one stop of exposure for every decade the film is past its expiration date. Is it a rule, guideline, or myth? Finally, Andre loses power in North Carolina! A Mike solo show with a lot of house cleaning of listener interactions! Call ins from Juan Ruben about the Yashica Electro 35 pad of death and the Ted Vieira episode, an email from Matthew Ashbrook about Ansel Adam's holy trinity of photography books, and a call in camera review about the Nikon Lite Touch AF from Dave Mihaly. Finally, an awesome message from Sean Welch that mentions whether our ease of access to media focused on our interests is healthy and the struggle of pursuing two creative outlets. Mike and Andre are joined by James Lee of the Classic Camera Revival Podcast (www.jamesleephoto.com). We talk about drunken podcasting, Kodak Tech Pan film, high silver content Efke and Rollei films, most underrated and overrated film cameras, missed photos, Canadian and APS Leicas, 35mm or medium format, classic photography, shooting photography solo or in groups, a camera James regrets selling, favorite photographers, cameras to nail exposure on slide film, and how to start doing paid work in photography! Returning from his recent hiatus from the solo show game, Andre says happy birthday to lovely listener Sherry Christensen, takes a look at Svein Olav Humberset's fantastic zine, discusses failing photographic projects only to re-visit old ones, and goes over what he's packed for his Thanksgiving trip to Miami! Mike and Andre are joined by Ted Vieira of the Photography Matters Podcast! We talk about Ted's journey into film photography, about being a professional musician, mixing creative outlets, Andre's man flu and car accident, the Emulsive Secret Santa, bourbon balls, Ted's film stock explorations and the mood in his photographs, bulk rolling, and Mike makes progress on repairing a Yashica Electro 35 thanks to a donor camera from Juan Ruben. Also, Ted's opinions of the film community, questions from the facebook group about what film camera would you like a new version of, when will Ted try darkroom printing, and the relationship of music to photography as an inspiration. Finally, Ted talks about what he feels is needed in film photography right now! A Mike solo show! A call in from Andrew Bartram of the Lensless Podcast about testing Ektachrome and Mike's plans for Ektachrome developing. Also, a call in from Juan Ruben of the A1 Rediscovering Film Podcast about an offer to help Mike repair his Yashica Electro 35. Finally, another installment of Dustin Cogsdell's On the Road Camera Reviews about the Yashica Electro 35! Mike and Andre are joined by Joey Ready of www.awesomecameras.com! Topics include his Awesome Cameras Podcast, the film community, product photography, hotel bars, Anil Mistry's "Monochrome" book, Svein Olav Humberset's zine, thrifting cameras, the Leica R series, and camera haggling. Also, an email from Jr Wyatt about winter projects, a call in from Frederico Quaglino about high speed color film, and questions from the facebook group about best thrift store finds, where will film be in 5 years, overrated point and shoots, and Joey's film shootouts. Finally, we talk about his "Today in Film" videos on YouTube and testing cameras. Mike talks about shooting some Polaroids, an update on the Emulsive Secret Santa, feedback on show 180 in the form of an email from Ian Fleming and a call in from Denise Grays. Also, emails from Sean Portnoy about the Pentax 645 vs. 645N, Simon Forster from the Classic Lenses Podcast about watermarking or branding your prints when selling, and a call in camera review from Graham Young of the Homemade Camera Podcast about the Bronica EC-TL. Finally, some griping about horrible item photos on Ebay auctions and online selling sites! Mike and Andre are joined by Pete Donovan (IG: petedonovanphoto, www.petedonovanphoto.com)! We discuss wedding photography and being a wedding DJ, photo walks, and fire escapes. Mike records with Neil Piper for his Soot and Whitewash Podcast, and talks of possibly destroying a precious roll of Kodak HIE infrared film and buys a truckload of film! Also, talk of the struggle of finding time to shoot photos and darkroom prints. Finally, Mike Williams sends a call in about advice for a digital shooter transitioning to film which leads to conversation about positivity and negativity in the film community. Andre makes his triumphant solo show return with a much deserved mailroom episode. His wonderful gifts included Wendy Gunderson's new zine "Chinatown" and her Kodak film strip business cards, B&W darkroom prints from Neil Piper, and Killian Idsinga's Let's Explore Magazine Issue 02: Perseverance. Last but not least, friend of the show Dustin Cogsdell calls in for another On The Road Camera Review of the Kiev 4. Andre's meet up with Adrian Doyle and his first experience shooting the new Kodak Ektachrome. Mike buys stuff, shoots some APS film, and fails at repairing a Yashica Electro 35. Finally, a recording sent in from Anil Mistry www.anilmistryphoto.com about his photo book titled "Monochrome" which includes fantastic insights into the thought process behind the book and making photo books in general. Mike talks about a package from Kevin Dillon (IG ricoh_shooter) including the Sears KS-2 camera, and results of his one year ink jet print torture fade test. Also, emails from Aaron Alfano about Jack White's new photo lab, Wendy Gunderson about her first photo zine, and Dustin Nickerson about basic film developing equipment and chemical needs. Finally, a call in camera review from Theo Panagopoulos of www.photothinking.com about the Lomo Smena 8M! A Mike Sunday Solo Show on the week of the podcast's one year birthday! Topics include the FPP's 200th episode, Ektachrome sold out, a darkroom print from Dan Novak, an amazing gift from Andy Jones @andyphotoblog on IG, emails from Kevin Dillon about the Pentax 645, Daniel Novak about the print exchange, Betsy Dougherty who was my print exchange partner, and Sean Portnoy about negative storage. Also, messages regarding my Mexico Beach project, Nathan Johnson's youtube video about DSLR film scanning with Lightroom presets, and from IG account hipshootfilm about a google form for film swaps (http://bit.ly/filmstockswap). A call in camera review from Bill Smith of the Classic Camera Revival Podcast about the Nikon F. Finally, call ins from John Gregory of the "A Light in the Dark Podcast" and Graham Young of the "Homemade Camera Podcast"! Mike talks about his recent art show, talk about taking local landmark shots in a creative way, pricing issues, and why this was a bit of a down year. Also, discussion about how hurricane Michael destroyed his family's yearly vacation spot and how no photo is too mundane. Lastly, the next installment of Dustin Cogsdell's On the Road Camera Reviews about the Rollei 35. Part 2 of our Photokina 2018 coverage! Mike and Andre are again joined by Em from Emulsive.org to discuss field interviews Andre recorded at the event. Andre interviews Film Washi, Solarcan, Mint Camera, Lomography, and Kodak! Andre receives a darkroom print from Dan Novak, talks of resin coated photo papers vs. fibre based papers, Jennifer Zehner's Obscura Community Darkroom Kickstarter, Emulsive Secret Santa, and finally a call in camera review from George Griffin of the "On the Streets" podcast about the Canon EOS500N camera! Part #1 of our Photokina 2018 coverage! Mike and Andre are joined by Em from Emulsive.org to discuss field report interviews Andre recorded at the event. Andre interviews Analogue Wonderland, Adox, Bergger, Silberra, Nico's Photography Show, Analog Things, and Japan Camera Hunter! Part #2 will come out next week! Another Mike solo show! Mike Williams sends a box of goodies and a call in to the show, a film trade with Sherry Christensen, the joy of developing film, turning color film photos into black and white in post. Finally, Dustin Cogsdell's next installment of On the Road Camera Reviews about the Pentax IQzoom 160! Mike is joined by Bryce Randol of the "Under The Safelight" Podcast and Dustin Cogsdell, who started the Photography Print Swap Facebook group! We basically answer a bazillion questions from the Negative Positives Film Photography Podcast Facebook Group! Kodak Ektachrome is shipping! Juan Alatorre sends some love to arm the APS Revival, Aaron Alfano emails an update on his Pentax K1000, Eric Hendrickson of www.pentaxs.com for Pentax repairs, Jennifer Zehner emails an update to her public darkroom effort in New Jersey called the Obscura Darkroom. Also, a question from George Griffin about what inspires you to shoot photography. This leads to discussion of photography as a creative outlet but also a way to document your life. How mundane daily photos may be more important in the future than photos of only your life's major moments. Dustin Cogsdell sends in his first of a series of "On the road camera reviews" about the Canon AE-1 Program. Finally, how print exchanges can motivate your photography and give a more human element to sharing your work. Mike is joined by John Gregory of the A Light in the Dark Podcast and Shaun Nelson of www.utahfilmphotography.com! We talk about John's new darkroom, the Olympus XA, Mike's son's 16th birthday party and the kid's reaction to instant photography, Eastman Double X, Kodak Color Plus 200, and a press release from Cinestill about the TCS-1000 Temperature Control System. Also, Neil Piper sent a darkroom print and a call in about determining the actual manufacturer of a film stock with the website www.dexter.pcode.nl, our first call-in camera review from Matt Jones about the Ondu 6x6, Shaun reviews the Minolta XG7, John reviews the Yashica Mat-124. Finally, Louis Mendez, packfilm, photo projects, what product we would launch if we could, and darkroom equipment! Mike talks about his son's 16th birthday party and instant photos at parties, how APS has helped him put down his phone for taking family snapshots, an upcoming portrait session for a friend with digital and the Pentax 67. Also, how he has kept music and photography separate as creative endeavors and how that might have caused missed opportunities. Finally, do you listen to music while out shooting photos? A rare Mike Sunday solo show due to the hurricane in North Carolina! Topics include preparing for my big art show, the HP instant ink program, my first pinhole shots with the Holga Wide Pinhole camera on Kodak Tmax 100, my first black and white roll in the Pentax 67, my appreciation of medium format over 35mm, an update on the APS Revival, emails from Ian Fleming about the B's processor from www.bounetphoto.com, Sherry Christensen about C41 developing and black and white developing for someone who doesn't shoot a lot of black and white, and Daniel Novak about the cost of film vs. digital shooting. Also, call ins from Federico Quaglino about the future of new color negative film, and Graham Young of the Homemade Camera Podcast about Ultrafine Extreme film. Finally, huge thanks to the Facebook group, and a new film podcast called Uncle Jonesy's Cameras! Andre gives tips on how to do your part to spread film photography in your area! Mike and Andre are joined by Mike Padua of shootfilmco.com! Topics include the Kodak Brownie Hawkeye, Fanny Packs, the APS Revival taking the world by storm, Mike Padua's first experience shooting Tri-X, Ultrafine Extreme 400 film, film rebranding, bulk roll color film, C41 faster to develop than black and white. Also, questions to Mike Padua from the facebook group including where would you like to shoot film, favorite color film, why film shooters like pins and patches, his design process, film photo memo notebook, film rolls app on IPhone, his product descriptions and best applications he's seen of his products, about whether shootfilmco is his primary gig, and about 3D printing legendary photographer action figures! Finally, emails from Daniel Novak about travelling lighter on photo shoots, Jennifer Zehner about her community darkroom in NJ called obscuradarkroom.com, Sean Portnoy about post processing, and Jr Wyatt. Lastly a discount code for Neg Pos listeners at Shootfilmco! Mike talks about Lo-Fi and Hi-Fi photography and why it is the middle ground that is less interesting. Also talk of experiments to make cheap 35mm compacts more Lo-Fi, the new Polaroid One Step+, and trouble with blue scratches on red scale film! Mike and Andre are joined by Mike Williams! Topics include downsizing camera collections, keeping cameras in your car, Mpix.com for prints, the APS Revival and the Gutterman's recent scanning process of APS film, emails from Jr Wyatt about 3D printing for film photography with talk about camera grips, Andrew Bartram about his process of family vacation road trip photography, Ian Nutt about plans for Andre's trip to Europe for Photokina and about the music on the show, and Daniel Tregembo about the sexiest man in film photography podcasting, and finally questions to Mike Williams from the facebook group! Andre talks about his battle with migraines as he starts his last semester of college, struggles with the after effects of GAS, and discusses the thought process of paring down a camera collection. Also talk of camera bags, specifically the Think Tank Signature 10 and how a smaller camera bag is helping his photography shoots. Mike is joined by Em from emulsive.org and Aislinn Chuahiock (aisbaby on Twitter and aisslinnn on Instagram)! Topics include the process of shooting 4x5, an update to the Emulsive Secret Santa, some talk to infuriate Leica and Mamiya shooters, the APS revival and the Nikon Pronea 6i APS SLR. We also talk about gatekeeping in the analog film community and start a discussion on what we can do as members of the community to make it more open and inclusive. We also talk with Aislinn about film photography in the Philippines and answer questions from the facebook group about the film industry. A Pentax heavy episode! Mike answers emails from Jr Wyatt about shooting the Pentax 67 and Aaron Alfano about Pentax K mount K series vs M series lenses. Also an update on home APS film developing! Mike and Andre are joined by a pants-less Stephen Rea who is becoming a cowboy called Honest Steve The Mountain Man on his trip to the USA. We answer questions to Stephen from the facebook group about facecast fame, meat pies, what he does with trip photos, trip zines, pinhole, Polaroids, his favorite part of America, sprint car racing, what gear he brought, peanut butter on burgers, how he got into pinhole photography, film development during or after the trip. We also address call ins from Mike Williams about the importance of printing and from Matt Jones about Stephen's involvement in the flat earth conspiracy and whether New Zealand actually exists. Finally an email from Paul Friday from https://fupduckphoto.wordpress.com about photo sharpness and resolution! A Mike solo show for the midweek episode. I talk about my trip to Cave City, Kentucky and choosing family time over photography, how my summer photography plans didn't go as expected, how Jr Wyatt reminded me to make some time to share my love of film photography with my sons, cheap filters from Amazon, the Negative Positives print exchange, a gift of from Dustin Cogsdell, emails from Cassius Fitzgerald and Kevin Dillon! Andre and Mike are joined by Bill Smith of the Classic Camera Revival Podcast! Some behind the scenes of Classic Camera Revival, Neil Piper's new film photography podcast "Soot and Whitewash" and a call in from Sherry Christensen. We also answered questions to Bill fielded from the Negative Positives Film Photography Podcast Facebook Group about the relevance of film photography blogs, social media as portfolios or personal photography, cameras we have always wanted to shoot, cameras and formats we have no interest in, photo books for people getting into film, European films, what film would we like to see resurrected and what film we would shoot for the rest of our life if we could only choose one! The mad lad is at it again with his second ever solo show! For this mid week episode, Andre takes a deep dive into Ektachrome beta testers, mounting and protecting slides, spot metering, Kodak carousel slide trays, and emails from Daniel Novak and Jr Wyatt! An action packed show of listener interaction! Emails, call ins, and gifts from Daniel Novak, Jacob Garcia, Gerhard Schulze, Federico Quaglino, Betsy Dougherty, and Jeff St. Onge! Topics include Sticky Leatherette, starter TLR cameras, our first experiences with home developing film, and Instamatic cameras! A special Road Trip segment is included with insights from the FPP Walking Workshop in Findlay, OH with Mike and John Gregory! The midweek episode, this time it is Mike's turn! Observations of shots I missed on our Florida vacation trip, having a linear mind as far as completing projects, having too many cameras loaded with film, my upcoming weekend trip to the FPP Walking Workshop in Findlay, Ohio, and call ins from Ian Fleming about Instamatics and 126 film and Robert Hamm of the Hamm Camera Company! Joined by Em from Emulsive.org who will be joining us once a month on the podcast! Topics include Andre's future permanent employment at Cinestill, the Nikon FM3a, Mike's local Konica purchases, modern solutions for cameras that use old mercury batteries for light meter operation, a formula about how much to increase development time for rolls using the Unicolor C41 kit courtesy of 120studio.com, bleach bypass C41 process, news of the Emulsive Secret Santa for 2018, and questions for Em from the Negative Positives Film Photography Podcast Facebook Group! Andre loses his solo podcast virginity with his first solo appearance! Updates on the campaign to save packfilm, waxing poetic about the right camera for certain situations (dreams of the Konica Hexar AF), and a discussion about purging your gear to justify your GAS! Back from vacation! Emails from Chris Mena about vacation cameras and Michael Jin about the Nikon ES-2 adapter to digitize film with the Nikon D850. Also, the Hamm Camera Company Pinbox Kickstarter and get your 2 favorite photos submitted for the Double Exposure Tag Team Challenge by July 31st!!! Lastly our next community event will be a print exchange. An old school Mike solo show! Redscaling in a dark bag, how to decide how many cameras to take on a vacation, emails from Jr Wyatt, Dustin Cogsdell, and Daniel Novak, finally a question from Svein Olav Humberset about how to start a podcast in which I share my limited podcasting knowledge and our rocky journey to how we currently record the show! Andre and Mike are joined by Rachel from the Sunny 16 Podcast! Topics include Rachel's Analogue Adventurers Kit, APS film developing, the Kodak Kodacraft developing tank and lasagna apron reels, alternative processes, cyanotypes, making it full time in photography as a business, getting more female voices and perspectives in the film community, and what it takes to be a world class podcast host! Happy Independence Day America! Andre and I respond to call ins from Andrew Bartram, Sherry Christensen, Neil Piper, Steve Rea, and an email from Yvonne Raven! Also talk about our next community event being organized by Mr. Shaun Nelson, the deadline for the Negative Positives Double Exposure Tag Team Challenge, and a changes to the midweek episode! Andre and I are joined by Jr Wyatt to discuss developing E6, the Fuji GW690, balancing film with family time, finding inspiration around your home, having a camera for every situation, live music photography, second favorite film stocks, and trying new films! Had some audio issues, sorry about that! Andre and I talk about my observations from my art fair last weekend, the Lomography Diana Instant Square camera, a call in from Graham Young of the Homemade Camera Podcast and the website filmpodcastnetwork.com, and support for Juan Ruben of the A1 - Rediscovering Film Podcast. Andre and I are joined by Dustin Cogsdell where we discuss film souping, redscale film, the weirdness of brand loyalty and lust for cameras that are currently hip, how Andre is Al on the 90's sitcom Home Improvement, and Andre locks himself out of his bedroom! Redscaling the clearance Fuji Superia, preparing for an art show and fighting fogged frame glass with inkjet prints, big news from Cinestill - the DF96 Monobath, the kickstarter campaign for the Pixl-latr from Hamish Gill, and the new gas inducing Facebook group - The Film Camera Gas Factory! Andre and I are joined by John Gregory of "A Light in the Dark" podcast. We talk of some film gift love, an exciting upcoming Cinestill announcement, Father's Day, the NP Double Exposure Film Challenge, Call ins from Matt Melcher of the "Box of Cameras" podcast, an email from Kevin Dillon about night photography, and call ins from Juan Ruben from the "A1 - Rediscovering Film" Podcast! My bargain Kodak inkjet paper purchase, a trip to the post office to send out some love, an update to the Negative Positives Double Exposure Tag Team challenge, an email from Mike Raso of the FPP, and my most recent night photography experience and thoughts on viewfinder displays in the dark! Corey Cannon of the Lensless Podcast joins Andre and Mike! Topics include Andre's second week at Cinestill, Danny Bonaduce, a call in from Andrew Bartram, Andre and Corey's Pinhole walk, Extol, Diafine, HC-110, stand developing, shoot what makes you happy, format choices and the hurdles of moving from medium format to large format! Andre's first week at Cinestill, call ins from Inspirado Projecto and John Gregory, Polaroid Spectra, the struggle of enjoying life moments vs. documenting life moments, and the Kodak Ektachrome teaser! Andre and I are joined by Em from Emulsive.org! In our longest episode to date we talk about the Emulsive website, the film community and how we promote it and keep things positive and growing! Kodak Pony 135 gift from Sherry Christensen, my Holga Pinhole camera from Corey Cannon, emails from Yvonne R. and Robert Brown regarding Kodak's recent financial reports, and a call in from Denise Grays about an idea for the next photo challenge! Andre in LaLa Land with Cinestill, Kodak Portra as the hardest film to screw up, call ins from Mike Williams of 12 Months 12 Cameras and Matt Melcher of Box of Cameras Podcast! Recording with Audacity, third times the charm with my Pentax 645N, an update on the NPP double exposure tag team film exchange, the Film Photography Podcast Walking workshop 2018 and film walks in general, and lastly personal safety when shooting night photography! The first episode with a live audience! I talk about my recent pinhole camera purchase from Corey Cannon, Polaroid/Fuji packfilm transfers, an email from Jeff St. Onge, a call in from Steve Rea, and talk with the “audience” about their recent film shooting! Episode 132 audio quality, 3rd times a charm with my Pentax 645n, gifts from John Gregory and the joy of having another film nerd friend in your town, a voice recording from Andrew Bartram, cheap frames and pricing structures at cheap art shows! Andre and I experiment with our first Skype recording using the Voicemeeter Banana software! Talk of our photography week and being the family film historian as well as organization of negatives and digital files and how we are awful at it! Stickers! My first voyage with the Pentax 645N and Cinestill 800T! Call ins from Andrew Bartram and Denise Grays about Eastman 5222, mat cutting, art shows, and my local art scene! Deciding on what type of shots to sell at art fairs, a call in from Bill Smith, and thoughts on “pro” vs “consumer” film. Future Anchor plans, Stickers, my recent darkroom equipment haul, my first roll of Eastman Double X, my Pentax UC-1, a call in from Robert Brown, Inkjet papers and the rewarding experience of framing prints! Andre and I talk about his large booty of film treasures today, easily turning ISO 400 dx codes to ISO 1600, cheap frames, and our plans for Ektachrome when it finally hits the market! Cheap beakers and graduated cylinders from Home Science Tools, problems with Kalt brown plastic chemical jugs, and how Sprint Photo Systems may be my chemical supplier of choice going forward! Andre and I discuss the FPP Monobath and the topic of number of keeper shots per roll! Topics include Kentucky Derby Week in Louisville, the Double Exposure Film Exchange, Ultrafine Extreme film, the Fuji clearance at USA Walmarts, the Under The Safelight Podcast, and my weird thoughts on supporting companies that specialize in one market! Discussion of the lack of skilled camera repair people going forward, a camera problem, monobaths, and the leaked Fuji Instax Square SQ6! Andre talks of his photo week of acquiring his first very own enlarger and pinhole adventures and I gripe about car troubles killing my film week. Shaun Nelson calls in with an update on the Negative Positives Double Exposure Tag Team Film Exchange! Finally emails about the Kodachrome movie and the Lab Box. Solutions for the dreaded Tri-X negatives cupping after drying, my first bulk loading experience, Matt Melcher’s method of removing remjet on cinema films on his Box of Cameras podcast, and Epson V700 film holders in the V800 scanner! John Gregory’s new film podcast “A Light in the Dark”. Also emails from Robert Brown about the Flickr acquisition and Steve Rea about a world wide photo walk! Finally, Polaroid week, World Wide Pinhole Day, the Negative Positives Tag Team Double Exposure Film Exchange and the Negative Positives Film Photo Walk in Chicago! Andre and I talk about our eventful weeks in film photography. Topics include printing Kodak T-MAX 3200, the Pentax 645N, HC-110 developer, tips for shooting double exposures and the Negative Positives Double Exposure Tag Team Film Exchange! Info about the first Negative Positives Film Walk in Chicago! Also, the Negative Positives Double Exposure Tag Team Film Exchange! A call in from Dylan O’Connor about buying on EBay from Japan and an email from Jr Wyatt about the Kiev 6C/60/Pentax 67!!! Emails from Stephen Rea and Danny Peters. Topics include the website filmpodcastnetwork.com and medium format options. Andre and I had Shaun Nelson of www.utahfilmphotography.com on the show to discuss his photography and his excellent website! I talk about my birthday present of an FPP 120 film sampler pack, some APS and Polaroid shots today, and the Negative Feedback YouTube tour of Kodak. Mike Williams sends a voice recording about instant photography. I give my take on Polaroid Originals and Fuji Instax and why I’m more of a Polaroid guy. I drunkenly talk about Kodak Gold film prices in my town! Also, I finally finished my first zine! Andre and I discuss the dilemma of wanting to shoot medium format more than 35mm but in reality shooting 35mm more often. We also read awesome listener emails on the struggle! A controversial article on the Adorama website and emails from Jim Melcher with a water spots update and Danny Peters about the Diana Mini and other points of interest! My decision to quit my current musical project and how new creative challenges can be exciting. Emails from Shaun Nelson and Jim Melcher. Also, dispelling myths of the original 1980’s Pentax 645, the best value in 645 cameras. In part two of episode 110, the positive edition, we talk about good news such as Kodak 10 sheet boxes of 4x5, Catlabs, Kodachrome Movie, FPP smaller quantity developing chemicals, and thrift store luck! Andre and I talk about the news of Fuji Acros and it’s possible death. Divided tonight’s episode into two podcasts due to having so much news this week! Free enlarger from John Gregory! Emails from Paul Friday and Jim Melcher about water spots, twizzling, swizzling, and inversions! Kodachrome Netflix movie! Catlabs saving packfilm? Wins and losses from my last 3 rolls of film! Holga with Ektar, star trails, and the Vivitar Ultra Wide and Slim. I hate dust! Also emails from Kevin Dillon, Stephen Rea, and Ray D! Andre and I talk about how we display our nerdy film love, the joy of the sous vide, water spots, and dust! Jr Wyatt emails about drying spots on C41 negatives. My thoughts on my first roll out of my Diana Mini camera and Epson V800 scanner. Dustin Cogsdell’s package is exposed! Also, how mundane photos can be so important years later so burn that film up! Finally a follow up to water spots on home processed C-41 film. Andre and I talk about the photos that got away that bother us to this day and read listener stories of the same disappointment! Corey Cannon’s Lensless Podcast, Spots on home developed color film, my question on the Tips From The Top Floor Podcast, and the lost missing segment! Follow up on the prizes of the 100th episode prize-a-thon, Holga fat rolls, and a sneak peak into this Sunday’s episode. The huge mega 100th podcast episode giveaway sweepstakes prize-a-thon!!!!!!!!!!! The marathon podcast with Andre in Louisville continues as we prepare for the 100th episode celebration!! Andre and I get drunker and tell you what we are giving away for the 100th episode!! Some people ought not to drink. Andre and I talk about his trip to Louisville and record live in the Gutter Man Cave and if you think Monday episodes are drunken wait till you hear this. More entries and donations to the 100th episode giveaway as well as a great email from Matt Melcher! Listener emails and entries to the 100th episode giveaway as well as some listeners offering cool prizes to other listeners!!! An email from Kevin Dillon about focusing issues that leads me down a path of talking about the best auto focus Pentax cameras! More details and problems I have ran into with the lost #51 and 52 episodes and the 100th episode giveaway. Plus an awesome question about band gig photography from Christine Pennock. Andre and I talk about his exciting upcoming internship with Cinestill. Also, Caffenol developer and light meters! Web pages and if they are really necessary for most of us as hobbyist photographers. The joy of having found a creative outlet. Also, my thoughts on the social media game and how I refuse to play it. Dustin Cogsdell emails a great question about motivation and more on the upcoming 100th episode sweepstakes! JR Wyatt emails a great question about a photo road trip. Talk of the upcoming 100th episode contest sweepstakes! Mike Williams of 12months12cameras joins me to talk about his photography and his 12 months camera project! JR Wyatt emails about my favorite photographers and photo books! Andre and I talk about the steps involved with developing black and white film! Hannah O’Brien sends a voice message about personal projects! More about the Facebook group and Neil Piper is a dirty dog! Just kidding Neil, i love ya brother! Kodak TMax 3200 is back! Also talk about staying positive as film photographers! Talk of improvements to the Anchor app, more clues to Kodak’s new film announcement, the Facebook group page, and more social media interaction! Super pumped about some social media love, especially from the Sunny 16 Podcast! A big teaser from Kodak and a call in to the show! Andre and I talk about the equipment you need to start processing your own film and what we use to accomplish this easy and rewarding task! Best call in ever by Shaun Nelson of UtahFilmPhotography.com! Also talk of getting guests on the program and zoom lenses! An email from Shaun Nelson with a differing opinion of my praise of the Kodak Reflex TLR! Talk of my experience shooting TLR’s and what I need to improve. My Valentine’s present.. a camera messenger bag! Also talk of the Kodak Reflex II TLR camera, maybe the best bargain TLR? Another love fest from some listener interaction. The Analogue Photography Series “Film is Still Alive” video and the news of the Mint InstantKon RF70 Instax camera! Some love for some social media love this podcast has received. Also, normal focal lengths on the various film formats and how I prefer rectangular formats. More about Couch guitar/camera straps. Also, the indisposableconcept.com and the first camera I ever bought, the Kodak Star 235! Andre and I talk about the final hours of the Hamm Camera NuBox Kickstarter and also discuss single use cameras! Danny Peters emails about my focusing issues. Talk about hyperfocal distance focusing! Bill Lehman emails a solution to my camera bag dilemma! Weird scanning issue and an update on my first photo zine. Kodak replaces my bad film. Couch Camera Straps and camera bag solutions that deter would be thieves! About interviews on Anchor. Neil Piper emails about vintage Diana cameras. Also, Polaroid film expiration dates and the nightmare of adhesive photo album pages! Guest host Andre Domingues and I talk about darkroom printing, working at a camera store and lab, and other goodness! An epic cage match between the plastic fantastics! Holga vs Lomography Diana F+ !!!! Some gratitude and shout outs to some love I have received lately! Also who will be the next Ansel Adams in today’s photography? A call in and an email about my manual focusing issues! Also how I want to make this podcast a platform for the listeners! Auto Focus cameras and realizing my eyes aren’t what they used to be! Talk of the Pentax M series, KX, SF1N, and PZ-1P. More talk on prints! Knowing the market you are making prints for and how much quality you really need for them. The importance of getting prints made of your life moments and loved ones. Make a photo album! An update to the backers of the Hamm Camera Company NuBox 1 camera. Also more film photography podcasts I have found recently. More about the hurdles of attracting new film shooters. Also, for the love of humanity why isn’t there better and faster scanning solutions! Thoughts on my first interview on the Anchor App. Also, how to get new shooters into film and the hurdles of that process. Joined by my first guest, Andre Domingues! We talk about the NuBox 1 camera and his involvement as well as E6 home processing!! Scanning old color photo prints. Also talk about various film formats and their proportional print sizes. Kodak comes through with awesome customer service and replaces my bad batch of film! Also I backed the NuBox 1 from Hamm Camera company. The coincidence of me copying the FPP! Also Kodak 120 B&W film paper backing bad batches which has now been fixed. The death of New 55 film and instant peel apart film in general. The Stearman Press 4x5 developing tank and how I want to get into 4x5 eventually! My Kodak film walk in Nashville today and the Hamm Camera Company NuBox 1 Kickstarter! Disappointment over the CES 2018 show and what in the world is going on with Kodak?!!!! I talk about my first photo zine “Plastic Beach” and how I had to choose photos to tell a story. My week of working on my first photo zine! It wasn’t without hurdles but was a satisfying project! Signed up for my first photo walk with Kodak Professional in Nashville, TN! Also, talk of my love of the Holga camera! Happy New Year! Photography goals for 2018! My favorite old camera store and how it made me think about how things have changed since the digital photography revolution. I goofed on episode numbers! Star Wars shot on film! UV Protector filters, to use or not to use! Neil Piper emails about another fine compact camera option, the Leica Mini II! Also talk of the Polaroid Documentary “Time Zero” that I finally got to see. The dilemma of too many options with film photography and how boundaries can enhance creativity. Filters! What filters are essential for your photography! Film photography gifts and my new old camera. The Kodak Signet 80 and discussion on the Kodak Signet series in general. CineStill and Eastman motion picture film in our still cameras and some talk about Kodak brand licensing. More about the recent losses at Kodak and how Eastman Kodak and Kodak Alaris are intertwined. If you love Kodak Film we need both to be healthy! Archiving memories part 2. Optical discs and the M-disc format and why they may still be a relevant storage medium. Archiving your photos and the importance of preserving memories. Why I returned to film and why I love the process! When, why, and how I choose to use digital cameras for my photography. The Pentax K10D and Kodak S-1 digital cameras! An email follow up to the Unicolor C-41 developing kit. Also Polaroid transfers with Fuji packfilm! A great call in from Andre about the Olympus XA. More info on the XA from Danny Peters and some Polaroid and Kodak news. Part 3 on how I sell my photography. Darkroom prints, inkjet prints and knowing your audience. Part 2 on my process of selling photography at art shows. Printing with inkjet printers. Part 1 of my journey on how I sold my photography at art shows. Frames and mats! A call in from Classic Camera Revival Podcast and an email from Danny Peters dissecting the differences between the Lomo LC-A and the Olympus XA compact 35mm cameras! Andre calls in with a great question about choosing what cameras and film you take on a trip or vacation! Happy Thanksgiving U.S.A.! My impressions of my first two shots with the new Polaroid Originals One Step 2 camera and film. I debate professional vs amateur cameras and metal vs plastic cameras! Do we need a professional model camera and the prices that they command? An update on my APS experiment that I talked about in episode 11. The Kodak T550 APS camera and my EBay bidding on Olympus Stylus Epic cameras! Andre calls in with another great question of how to get people into film photography! Check out his photography on Instagram at adomingues64 and his website at TimelessStreets.com. Kodak Ektachrome revival news on the Kodakery Podcast and some other new film podcasts I have recently found! DX coding on film cassettes and how to trick compact cameras that use DX coding to determine film speed. More thoughts on developing your own style in your art. Does too much gear get in the way? Are you gear obsessed like me? My first call in question on the Anchor app where I struggle to answer a deep question about my photography! My first email which corrects my thoughts on the Silberra film indiegogo campaign. Self critique of my speaking skills and weekend plans! Silberra Film Indiegogo campaign and the Reflex 35mm SLR camera Kickstarter campaign. The dilemma of expired film and film storage. Also Polaroid Originals Blue and Black and Pink and Black instant film release. Sorry about this one. A rant about digital vs analog technology! My take on Lomography and the Lomo LC-A camera. Love and hate and hipsters! APS film! Advanced Photo System! My desire to return to the 1990’s and how APS could be the cheapest analog photography option available! My iPhone problems and iPhone photography. Useful film apps for smart phones! Olympus Stylus Epic, why it's cool and how it hurts my soul that I sold mine years ago. The compact camera rage and the desire for a new option! Converting Polaroid Packfilm cameras to use common AAA batteries. Also Through the Viewfinder or TtV photography and building a black box for use with old pseudo TLR cameras for this application. Fujifilm discontinuing more films. The death of Fujifilm? Supporting companies that support us? Trying not to bash Fuji, just want people to know what is happening! My vintage store finds! Kodak Brownie Hawkeye, Kodak Duaflex, and 620 film cameras! Including my attempt to explain how to use 120 film in 620 cameras! Start your own Podcast! I challenge the film community! Plus some film photography podcasts you need to be listening to! About film scanning myths, the Epson V800 flat bed scanner, and the Film Lab smart phone app. The Polaroid One Step 2 Camera has arrived and the Yashica Y35 Digifilm debacle. Polaroid!!!! My thoughts on the new Polaroid Originals and Impossible Project instant film. 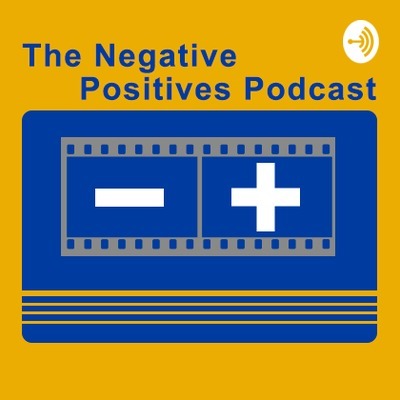 Debut episode of the Negative Positives Podcast! A podcast about photography with an emphasis on Film Photography. An intro to my photography journey.